Dreams are made of …. an email from the MD! I had not expected this at all and I read it a couple of times before it could sink in. It was like a reward that I had not anticipated even in my wildest dreams! My boss knew about it but waited for the official announcement. He immediately called Shreya our Admin and HR person, and asked us to start with the process; as a lot had to be done. It was meant arranging for a travel to ‘The Country’ – US of A! Applying for visa, booking flight tickets, making payments to the university and arranging for accommodation there. My boss Mr. Bhuvan ensured that all was planned well so that everything could be smooth for me. I made the travel itinerary and flight tickets were booked through Thomas Cook; chose one of the best airlines- the Emirates for my travels. 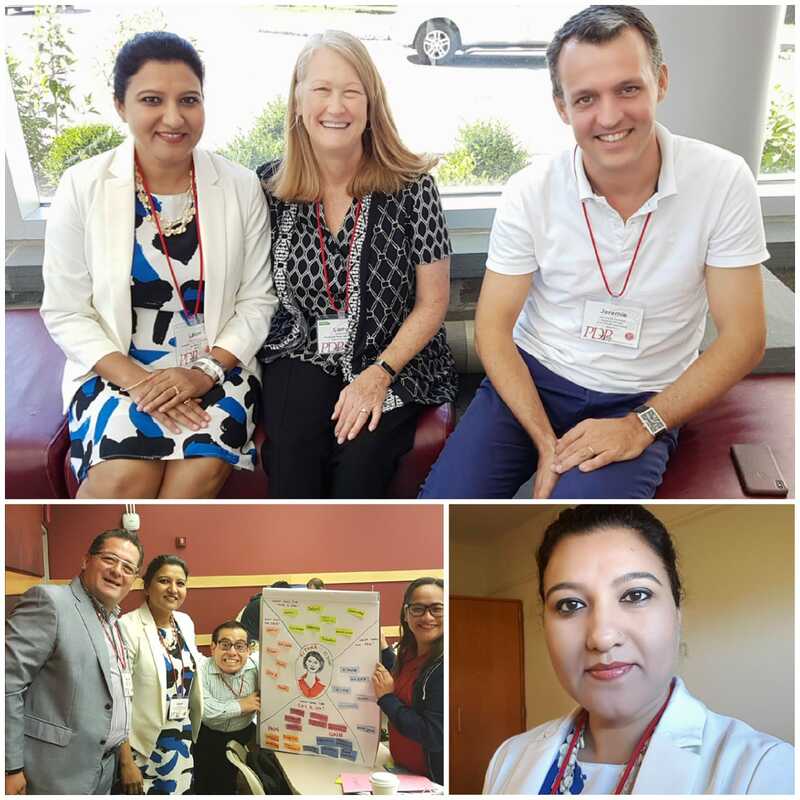 The planning was done to the T- the corporate HR of The Park Hotels, Ms. Guin and her office did all the liasoning with the coordinator of Executive Education, Cornell University. On my part, the visa interview went off well and I was given a 10 years Visa to the USA. Then came planning the logistics at home, I have a great team on the home front too. My in laws are my biggest support and they take pride in everything that I do, even when there’s nothing to be proud of! As luck would have it my mariner husband was expected to be home then. That meant I could plan a small personal trip around the educational one. I have two of my best friends living in the US and in the same region – the New York area. I got to stay with both of them and they ensured that I got a glimpse of the US. I wanted to visit hotels, restaurants as well as universities and my friends, Archana and Srividya did exactly that. They even took a couple of ‘days off’ their work so that we could make the most of the time there. They took immense care and made me feel like a royaIty; realised how blessed I was to have such wonderful family, friends and colleagues. Mr. Shirish Bokde, my colleague helped put things in place before my travel and also sort out minor glitches while I was in the US. 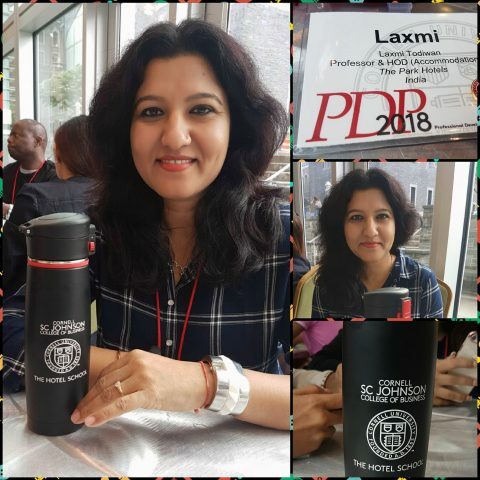 ‘Back to School’ was what the PDP at Cornell did to me- providing a great platform for learning, ideating and knowledge sharing with the very best hospitality professionals from around the globe. The content was up to date and relevant. I simply admired the knowledge and enthusiasm of the professors. The illustrious faculty Prof. Cathy Enz and Ali Kasikci shared many concrete real life examples through storytelling and made the class truly dynamic and interesting. It provided the delegates opportunity to create international contacts and network with the hospitality professionals, hotel owners, developers and consultants from around the world. These programs have been some of the best that I have attended in my career. 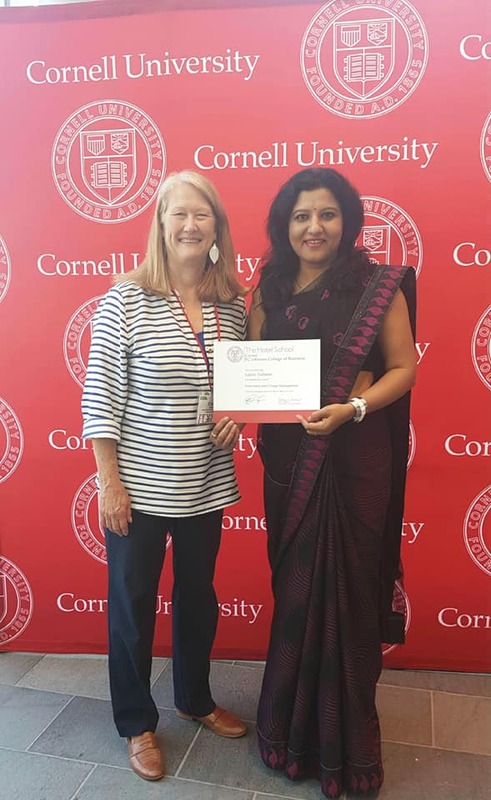 All courses I took were managed very professionally, I wouldn’t have known what I missed had I not come to Cornell; The coordinators managed the entire program well making it truly memorable, special thanks to Isabel and Laura. The campus is scenic and one of the best in the world boasting of the old world charm and modernity all in one! Cornell made this an experience of a lifetime for me. I am grateful to my organization, The Park Hotels, India for giving me this opportunity. 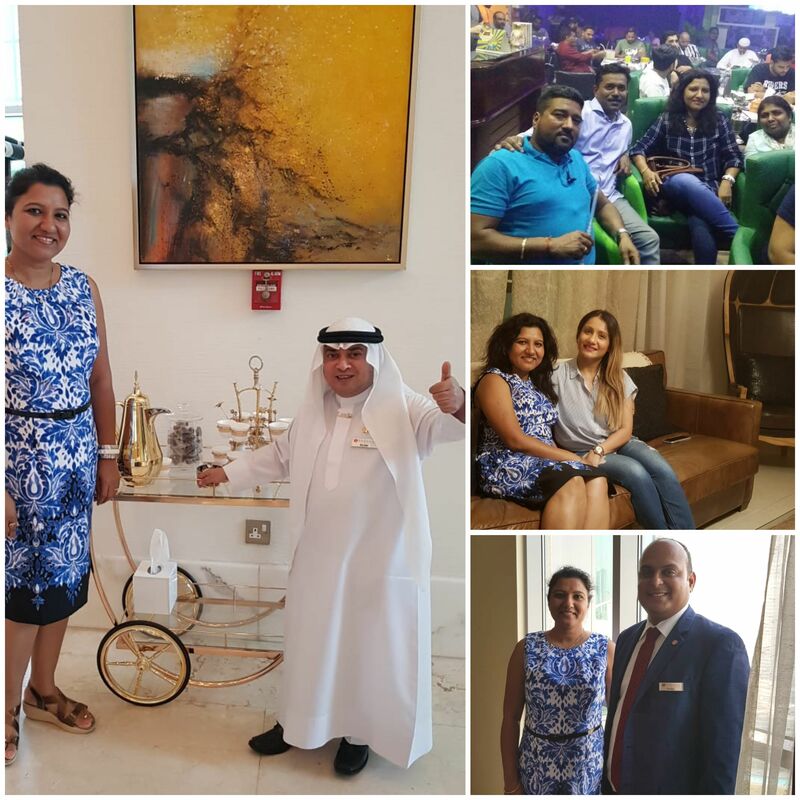 On this trip I was playing a couple of roles, the student – Executive learning, learning on my own – experiencing the different products and services. As a trainer it helps me immensely to have first hand experiences that I can speak about in my training sessions. On my flight to New York, felt that I was the chosen one as I could sleep and go on the long haul flight. It was an economy ticket but had almost 4 seats to myself and also got to use the airline wifi while in air! The Emirates service was top class indeed! No wonder that they are rated among the best. Arrival experience at JFK, NY – Biometrics, self learning and application- helped to get past this stage and clear the immigration. Luck continued as I saw Fawad Khan just opposite me verifying biometrics. My dear friend Archana picked me up and we headed to her place at Greenwich, CT. She worked on my jetlag more than me; not allowing me to doze off. Taking me out to show places in the vicinity, be it the memorial park or the beach or the very scenic old neighbourhood. An ex student of mine, Samyajit who is a banker now in New York paid a visit, it was wonderful to see him after college. 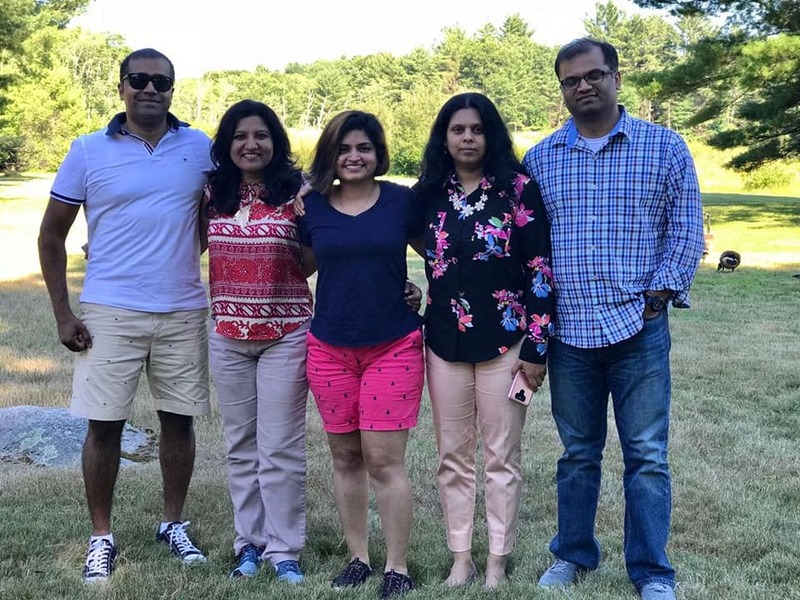 My classmate Vishal, Archana’s husband took us all to the Big Apple. We explored New York, covering most of the historic and famous places! New York is a great city and has fabulous spirit, felt it was so much like our own Mumbai! My Cornell Diary…. Reaching the Mecca of hospitality education. Boarded a bus from White Plains, NY to Cornell Ithaca on 27th June 2018, reached the campus housing in the evening. Was greeted by one of the most courteous and absolutely fabulous lady that I’ve met, Haruka, my townhouse flat mate- the awesomeness continued! 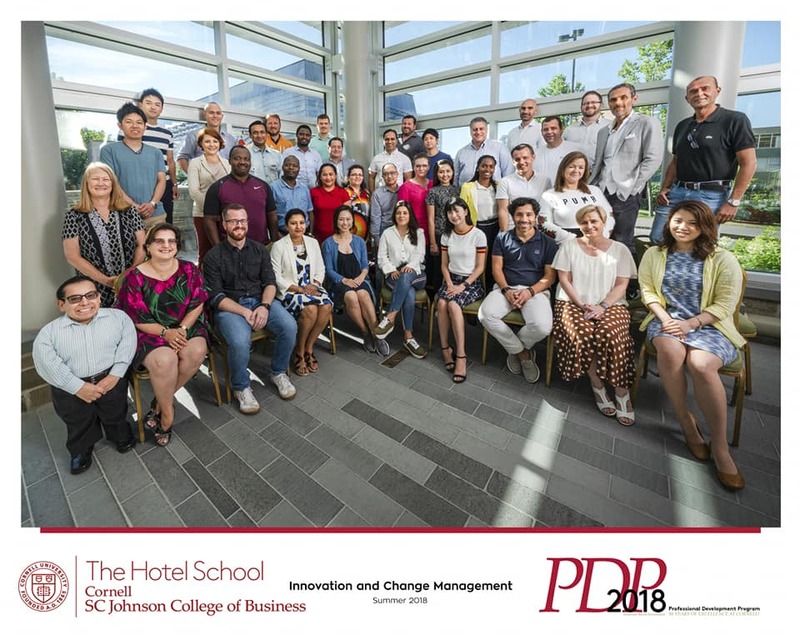 Started with the first program on the 28th – Innovation and Change Management by Prof. Cathy Enz, who is considered to be an institution in herself. The batch was good too; 35 of us from around the globe! Learning, Sharing, Engaging, Ideating… Repeat! ….was the mantra! Evenings were meant to explore the campus and places around it, that boasted of history as well as modernity all in one! that’s the Cornell campus for you- vibrant and full of energy! A walk around the beautiful campus was exhilarating. The most important part is that The Park Hotels is represented in Cornell programs for over 20 years. It is a part of our organization’s commitment to set our team members for success. I felt that they acknowledge it and are appreciative as mentioned by Prof. Cathy. Another fact remains, ‘Wherever you go in the world you’ll find someone from IHM Mumbai!’ Met a senior of mine who lives and works in another part of the globe. Finally came my ‘Kodak Moment’, the certification. 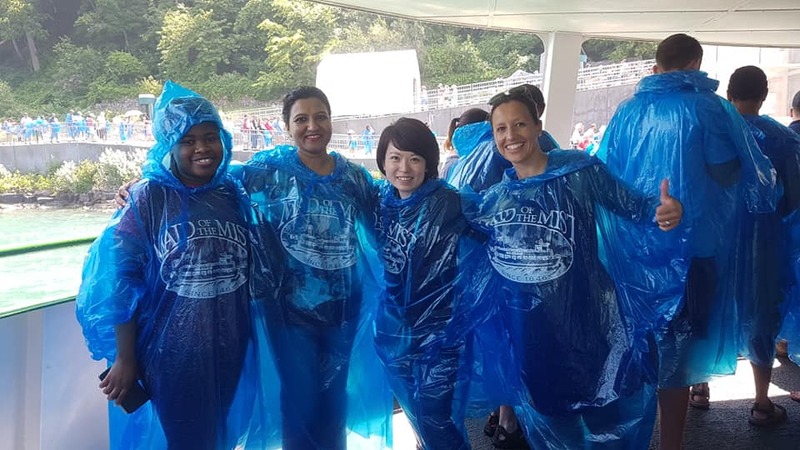 1st of July was a Sunday and Cornell had organized a trip to the Niagara Falls. It was amazing even better than what I had heard it to be. 2nd of July was beginning of the second program, Strategic Leadership, facilitator was Prof. Ali Kasikci, very knowledgeable and brought so many of his personal experiences on the table, we could connect to and learn from. It is true that we also learn from the people we meet! The batch had a great mix of professionals. 3rd of July was the day when Ithaca had their Fireworks, celebrating the 4th of July! Witnessed the spectacular show with my German friend, Astrid. 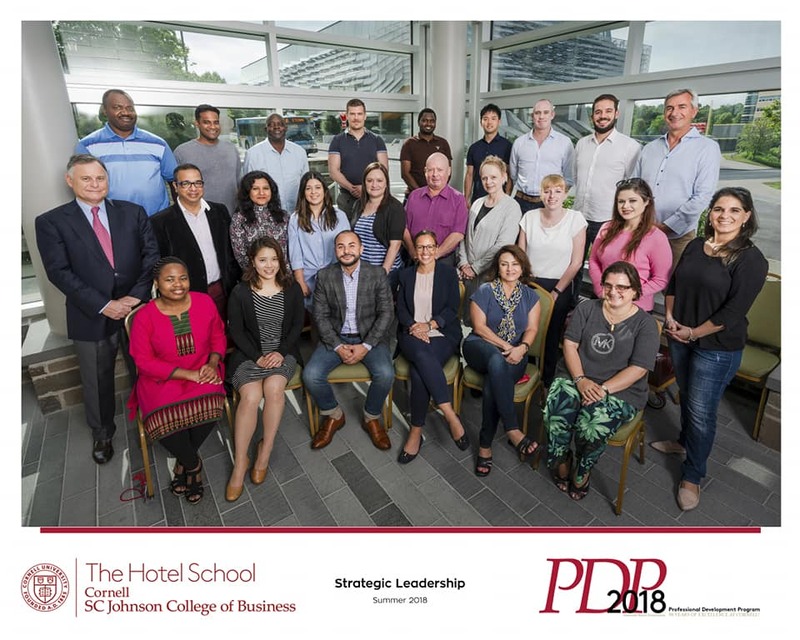 Then came my personal, ‘Anything But Ordinary’ moment – Certification in Strategic Leadership! I’m thankful to Prof. Kasikci, for great insights and valuable learning. My childhood friend Srividya and her husband Navnith, came all the way from Avon CT, to pick me up. We left around 8 pm and the drive to their place was simply beautiful. Sri and I grew up together, had so many firsts together. We’ve been through each other’s life events. It meant a lot to me to visit my bestie. She had even arranged a mini reunion of our school friends. Our classmate Vimal flew all the way from Texas to be there. We were invited for lunch by another classmate Maxelino, who is in Boston. The school friends- Sri, Vimal, Sindu, Max and I met over a delicious and sumptuous lunch laid by Max’s lovely wife Kajal. Max ensured that we experienced a piece of American history while in Boston. I loved the place and could connect with many incidents read in the history books, along the walk. It was then time to leave for the next phase of my journey, the next stop being Dubai. Stayed with my brother, while in Dubai. Also met childhood friends Lakshmi Aravind, David and Sindhu. Dubai is a magnificent city quite different from what I saw in The US. My agenda was the same; visiting important places in the city and my own learning about hotels, restaurants and services. Dubai offered all of that and my brother ensured that I explored the city to my satisfaction. FIFA World Cup matches ensured that I got a glimpse of the nightlife too. 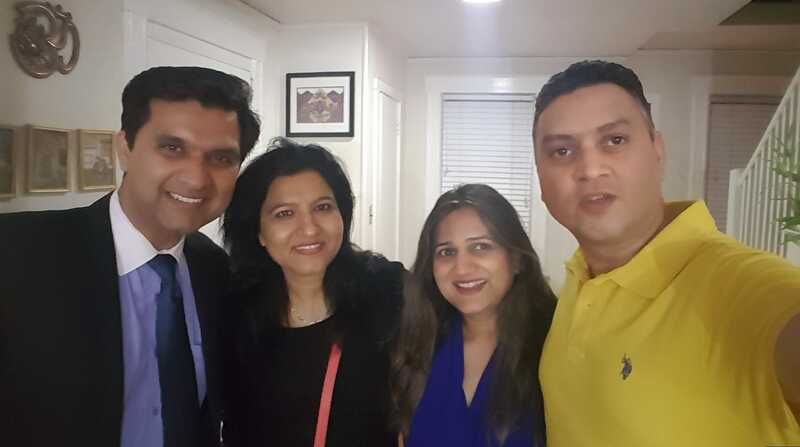 While there, connected with my first boss Ms. Christine Saldanha and met hotelier friends Balaji and Farzana. Again a great catching up as well as learning! Finally it was time to head home to my beloved family after a fabulous trip that was full of learning, catching up with friends and meeting many illustrious professionals from around the world… it was a roller coaster ride indeed and a pleasant one! Some incidents or experiences we undergo clearly get into the ‘Most Cherished’ moments of our lives and these ones get there for me.